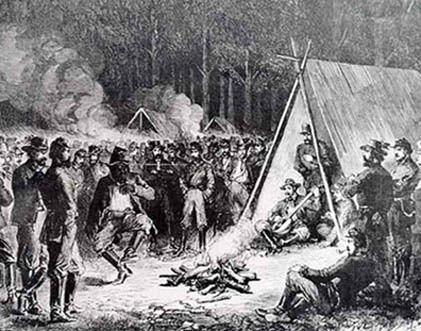 This drawing by Frank Vizetelly appeared in the "Illustrated London News" in 1862 and depicts Sam Sweeney (Joel's brother seated in tent) playing the banjo at General Stuart's Headquarters at "The Bower." "The Bower" is the ancestral family home of the Dandridge family, and was where Confederate Gen. J.E.B. Stuart and several hundred of his cavalry camped and entertained in September-October, 1862. 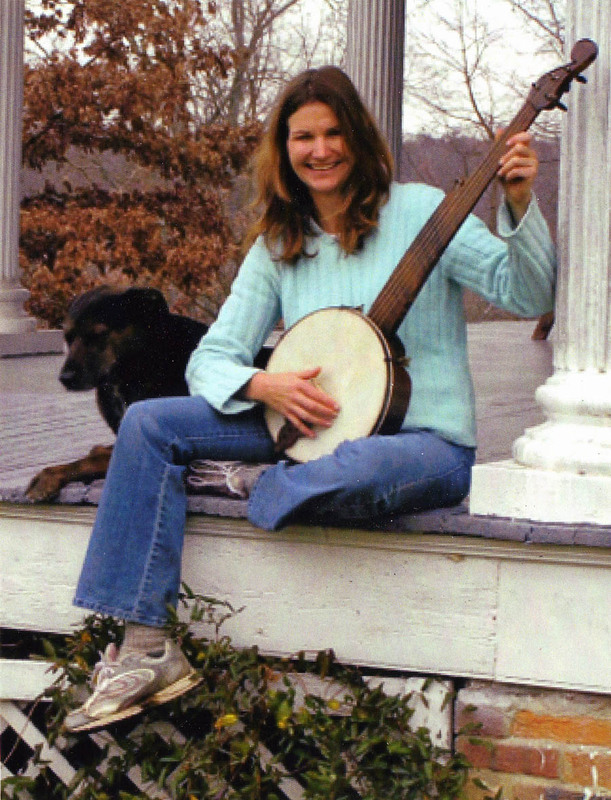 Kirsten Lee, a descendant of one of the three sons of Colonel Adam Dandridge, with dog "Jeb Stuart" and a Sweeney Banjo at "The Bower," Jefferson County, WV. Photo by John S. Peterson, musician and the author of "Horse Soldier banjo: Riding a Raid to Antietam and the Dandridge Bower" for North & South, April, 2007.